Buying Vs. Building a Home: Which is Right for You? - Residential Title & Escrow Co.
Buying Vs. Building a Home: Which is Right for You? 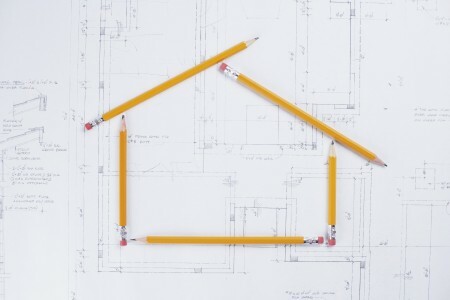 Should you build a home or buy an existing one? If you’re ready to own a home, then you may have given some thought to both buying a home and building your own. It can be hard to tell which option is right for you, but today we’re going to be walking you through some of the logistics of each scenario to give you a better picture of what you might like to do. The truth about building a home can be hard to swallow. Rather than compromising on your perfect list of needs and wants for your home, you may consider just building your home from the ground up. That way, you can truly have the perfect house, for you. Well, it’s not always so simple. Location is one of the biggest factors in determining home value, but to build a new home you need ample space. If you’re looking to build a home, hopefully you are looking to live in a more secluded area, as your options will be severely limited in urban areas. Furthermore, it seems that obtaining the financial resources to build a new home are tight at present. However, if you have the money, then building a home may be the perfect option for you. Starting from scratch means that you won’t need to worry about surprises down the line about ancient electrical wiring or faulty plumbing. You will have the peace of mind that everything is new and in good working order. Buying a house has its own benefits and challenges. When you buy an existing home, you have the ability to manage your spending a little bit better. For example, if you know that you need to upgrade your plumbing and your kitchen appliances, you can break those upgrades into pieces and tackle them as you go rather than having to approach them all at once. Furthermore, you can move into your new home much faster than if you were to build it from the ground up. Though you may need to take some extra time to inspect the home, you may find that it is a lighter financial burden for you in the longer run. At the end of the day, the right option for you is the option that meets your needs and expectations. If you’re looking for a customized option for your home and you have the financial resources to approach it, then building a home might be right for you. On the other hand, if you are looking for a much faster and more flexible option, then buying an existing home might be the right fit. At Residential Title & Escrow and Commercial Settlement Services, we bring peace of mind to the settlement table. If you are searching for a title company to help you through the closing process, please contact us today! You can also fill out our simple online title request form and one of our knowledgeable representatives will get in touch with you promptly. Be sure to follow us on Facebook, Twitter, and Google+ to stay up to date on news, and upcoming events as well as staff and client spotlights! This entry was posted on Friday, October 21st, 2016	at 5:00 pm	and is filed under Buying a home . You can follow any responses to this entry through the RSS 2.0 feed. Both comments and pings are currently closed.